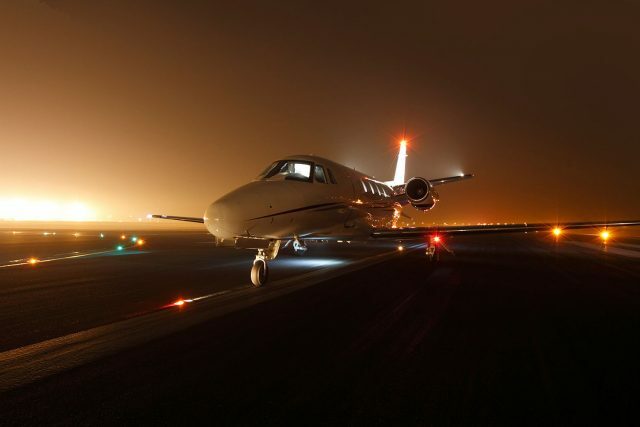 There’s no difference between flying in daylight and flying at night—except you can’t see anything. The fact is, we are ill-equipped for operating an airplane in the dark. The human eye has limited acuity for night vision, and we require constant visual references to maintain equilibrium. We are diurnal animals, not nocturnal ones, and our body doesn’t perform well when it would rather be sleeping. To make up for these shortcomings, we need adequate lighting, solid orientation to discern up versus down, and a willingness to restrict ourselves from continuing into dangerous conditions. Face it—night flying is very nearly akin to instrument flying. Even under the best night VMC, we can encounter areas where ground lights are scarce and a horizon may be difficult to see. I would not operate an airplane at night beyond the traffic pattern unless it had functional gyroscopic instruments and I was up to speed on using them. Similarly, simple pilotage and dead-reckoning navigation are not enough at night; it will often be necessary to resort to electronic aids for orientation, so we must be equipped and ready to use these systems. For VFR night flight, your minimums should be not what’s legal but what’s safe. I’d suggest that to meet that bar, only fly at night when the weather is clear. That means (1) a canopy of stars must be visible, so only high, thin or scattered clouds are acceptable, and (2) no clouds can be present or forecast below 10,000 feet AGL, since you will not be able to detect a cloud layer in the dark—unless it has lightning in it. No precipitation should be present or forecast, and strong winds should be avoided; it’s hard enough to take off and land on a dark runway without a gusting crosswind added to the mix. If you will stick to such nice nights, you’ll always enjoy your VFR night flying. Push your luck in less-benign conditions, and you’ll eventually wish you were somewhere else. Does having a full moon help? While the moon-lit landscape can be a comforting simulation of daylight, bright moonlight can wipe out dim stars and produce blinding glare in haze. Do not expect to be able to select a good forced landing spot by moonlight. Even a full moon doesn’t provide enough visible detail to discern flat ground from rough terrain. Still, the lunar orb is a comforting reassurance that the weather’s clear. Fly no airplane at night unless you’re familiar with its cockpit layout and you have full confidence in all its working parts. You might tolerate a glitchy radio or an intermittent excessive mag drop in daylight, but at night you want everything working perfectly. Know where everything is and be able to find it by touch; military pilots used to be given a “blindfold cockpit check” as part of their training, demonstrating their knowledge of the switches and controls. Most importantly, carry multiple flashlights when flying at night. I can guarantee that you will have an electrical failure if you fail to do so; I’ve burned up rheostats, broken alternator drive belts and lost instrument lights, and most of the time these occurred when I hadn’t kept a fresh-charged flashlight on board. A large D-cell flashlight and pocket penlight, fitted with red lenses, can make a big difference when something breaks. Why red lighting? Because the eye’s rod cells, which provide most of our vision, are restricted under strong white light, leaving us with only the daylight-favoring cone cells until the rods recover. Limit the intensity of any necessary white lighting you use. Know the countryside over which you’ll be flying at night in a single-engine aircraft. If there are large areas of inhospitable land, don’t cross them at night. Stay close to friendly expanses where you’ll have at least a chance to survive an engine-out crash. Fly high enough to allow a reasonable glide range at night, and know where the nearest lighted airports are located. Be familiar with your airplane’s glide characteristics, both the maximum-range and minimum-sink speeds. If the unthinkable happens, turn into the wind, trim for the slowest descent and aim for something that offers the best chance for slow deceleration. I received my PPL-SEL in the western US in the ’70s. At that time, it was mandatory to include both night flying and mountain flying in the curriculum, as well as full spin training. Great idea, and I thoroughly enjoyed the experience and went on to many happy, safe hours of nighttime mountain crossings – no traffic, often VU conditions, no turbulence, entirely safe – always having identified airstrips and highways within gliding range should anything occur. Having returned to Canada years ago, the idiocy of anything different became apparent. Here, one can get a PPL for flat land only(!). Extra and separate endorsement and training for both nighttime or mountain flying were required. Obvious outcome: many fatal crashes by pilots testing their envelope, often with buddies on board as the sun went down and/or the mountains lured them in for a looksee. The other major problem with Canada’s regulations? Unless recently changed, VFR-on-top is illegal, the subsequent result being VFR pilots scud-running over ridges hoping for a better outcome on the other side. Often not so. The fatality rate in Canada is several times that of the US, per mile flown, for these various reasons. To become at one with your aircraft, nothing is so stirring and satisfying as walking your craft down in a falling leaf descent. Which, or course, should you have a nighttime engine failure, allows you to meet the dark terrain at the lowest possible airspeed and rate of descent, under full control. trouble. With practice it is very doable. And yet, because my Abbotsford, B.C. flying school understood I would be flying out if a Canyon Gravel Mountain Strip, post training, I got Basic Training in Many actual “Off Airport”, & “Unimproved” Strips, and training in a Cessna 182, with a Canyon Flight in to my Home Strip, and an actual Over Mountain detour on the return leg, since I expected to buy in to a Local older model 182, when I finished!